Look out traditional TV networks, it looks like Amazon, Hulu, NetFlix, and no doubt more contenders for your precious spare time, are planning to conquer the television viewing world, one byte at a time. 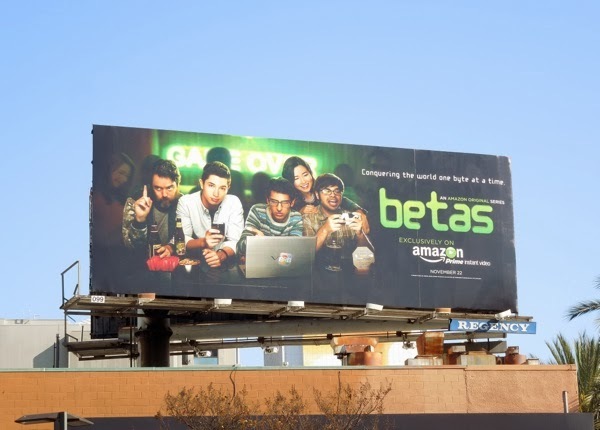 Following on from their original political comedy, Alpha House, about four Republican senators living together in a house in Washington D.C. and starring John Goodman, Amazon Studios has also produced Betas, also available with its Amazon Prime subscription service. 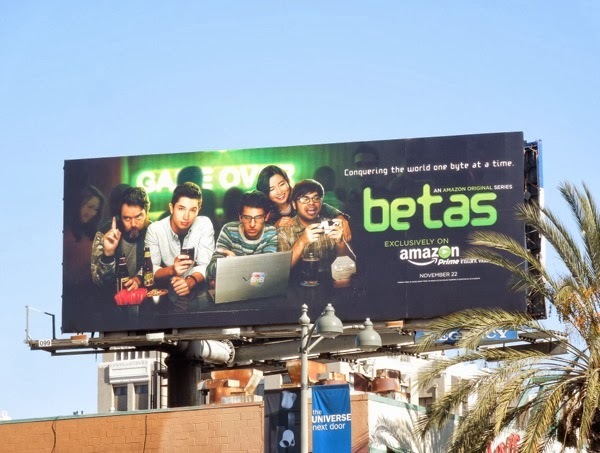 This is a new comedy about a group of young friends in the Silicon Valley startup scene, but they're not alpha males, but 'Betas', the little socially awkward guys with the big ideas. 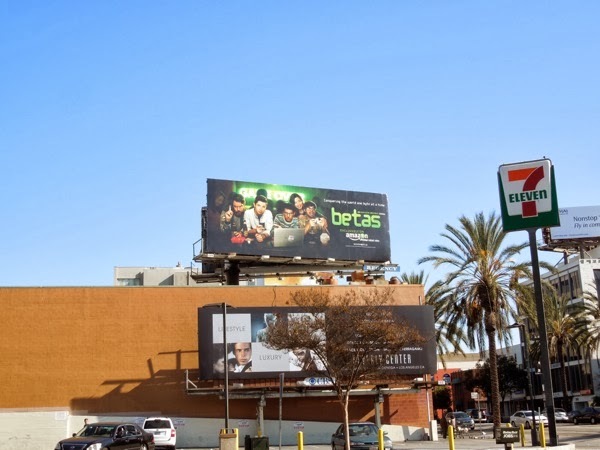 This Betas series premiere billboard was spied along Wilshire Boulevard at South Wilton Place on November 24, 2013. Keep your eyes to the skies (and the web) as there's sure to be more original series from Amazon in the future.